Health Data Science today needs Machine Learning of Tomorrow. needs a concerted international effort without boundaries, supporting collaborative and integrative research between experts from seven fields: ❶ data science, ❷ algorithms, ❸ network science, ❹ graphs/topology, ❺ time/entropy, ❻ visualization, and ❼ privacy, data protection, safety and security. ficial in solving computationally hard problems, particularly with a doctor-in-the-loop, e.g. in subspace clustering, protein folding, or k-Anonymization, where human expertise can help to reduce an exponential search space through heuristic selection of samples. Therefore, what would otherwise be an NP-hard problem, reduces greatly in complexity through an human agent involved in the ML pipeline. 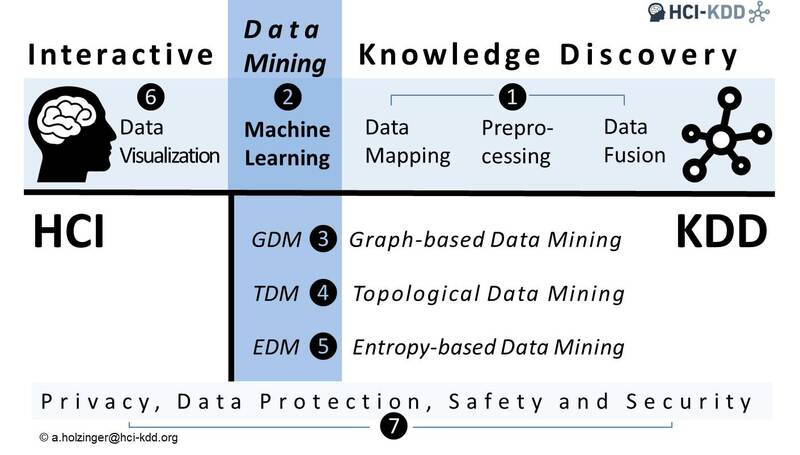 Consequently, a synergistic combination of methodologies and approaches of two areas offer ideal conditions towards unraveling these challenges and to foster new, efficient and user-friendly algorithms and tools: Human-Computer Interaction (HCI) and Knowledge Discovery/Data Mining (KDD), with the goal of supporting human intelligence with computational intelligence. The cross-domain integration and appraisal of different fields shall provide an atmosphere to foster different perspectives and opinions; it will offer a platform for novel ideas and a fresh look on the methodologies to support crazy ideas – and at the end of the day to put these ideas into Business. The initial idea can be read [here],<springerlink>. 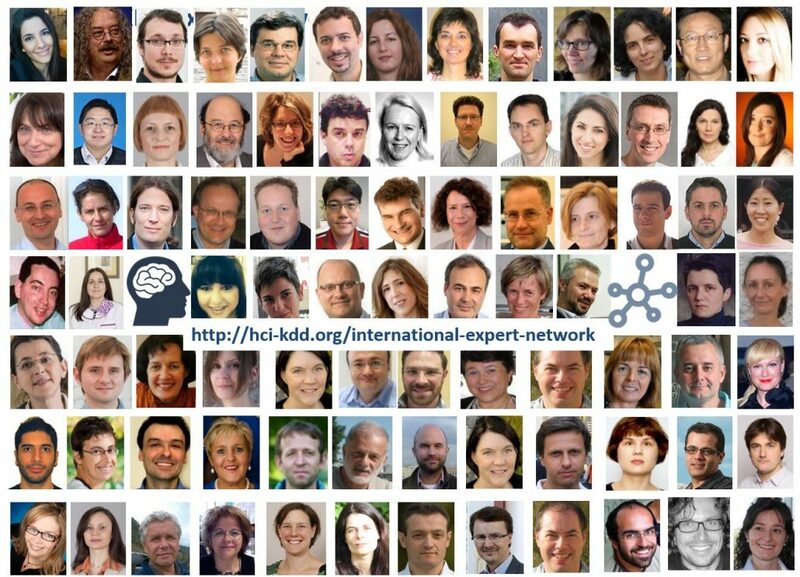 The mission of the international expert network HCI-KDD is to bring together diverse researchers sharing a common vision and to stimulate crazy ideas and a fresh look to methodologies from other disciplines without any boundaries, encouraging multi-disciplinary work, to bundle synergies, to participate in joint project proposals for getting funding on various levels, inclusive travel funds, international student exchange and promoting young and early-stage researchers.